Toronto GOAT continued their late summer hot streak with an undefeated weekend at Northeastern Regionals, including a 15-12 win over Boston's Ironside to take the Regional Championship. 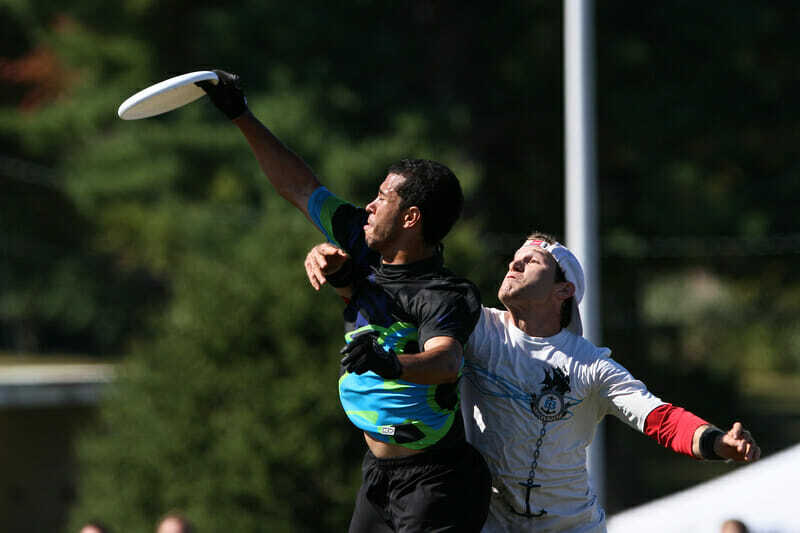 Toronto GOAT continued their late summer hot streak with an undefeated weekend at Northeastern Regionals, including a 15-12 win over Boston’s Ironside to take the Regional Championship. The win — in arguably the strongest Men’s Region in the country this season — likely cemented a top three seed for GOAT at the Club Championships. But perhaps more importantly, it was symbolic of a larger shift of power in the Northeast. For almost 20 consecutive years, a Boston-based men’s team had captured the region. This year, it always felt like a new chapter might be written. A strong early regular season performance from New York’s PoNY and a strong end to the season by GOAT put Regionals entirely up for grabs. Parity was again in the cards: All three games between New York, Boston, and Toronto were decided by three points or fewer. GOAT’s star player, Mark Lloyd, even went as far to say that the final was much closer than the score line appeared. “I think a 15-12 game sounds like a wide margin, but that was a close game and we didn’t feel safe until that last point went in,” said Lloyd. Regardless, GOAT proved to be the better team and should be feared by the field at Nationals. Ironside was the first team to break, as GOAT’s offensive line misconnected on some hucks early in the game. Their early-game offense was a bit jittery, turning the disc over multiple times in each point. But when that Toronto offense hit its groove, it was almost unstoppable. Turns were rare and they were never broken again, despite withering pressure from the Ironside defense. Derek Alexander, who we highlighted as having a man-of-the-match performance in GOAT’s Pro Flight Finale win, again dominated the offensive touches while rarely making a mistake. Unlike their short handed Finale win, the GOAT offensive line was reincorporating Adrian Yearwood and Mark Lloyd. The two of them would often set up on one side of GOAT’s two-three split stack pull play (with two vertical stacks on each sideline and only two handlers staying back). Yearwood added skill and experience in the set offense — though he also at times looked — conditioning-wise — the part of someone who has taken time off since the World Games in July. There are no such qualifications for Lloyd’s play. Given his strong history and outstanding play with the AUDL’s Toronto Rush, it’s clear that he’s a dangerous player. But more performances like the one he put in during this Regional final should open up discussion as him being safely of the top 5 players in the world. No one that Boston threw at him — including the experienced duo of Teddy Browar-Jarus and Will Neff — could slow down his touches or pinpoint hucks. In part, that’s because a unique Toronto offensive system allows Lloyd to flourish. A few stars spend a lot of time grinding out multiple short yardage looks near the disc, while the cutters wait more patiently downfield for chances to go deep. In part the short and break-focused initiation negated some of the tight, pressure-oriented downfield Boston defense. Lloyd is the star who is given freedom to operate between the two groups and make the offense click. In the final, he was equally likely to throw an upside down dump reset to a handler as he was to make a fast slashing cut — one that usually gained him enough space to huck to any spot on the field. Playing a game as clean as he did against Ironside may not be sustainable, but he is clearly the team’s most versatile weapon. Overall the Ironside team looked to have recaptured a lot of its form that had been missing since the US Open. This was the first time that they played with a full roster this season. Neff, returning from a wrist injury, made a huge impact for the defense, especially after the turnover. He helped spur a much stronger Ironside D Line offensive performance — in their semifinal against PoNY, they never turned it over, going 6 for 6 in D line conversions (and notching two offensive point scores as well). 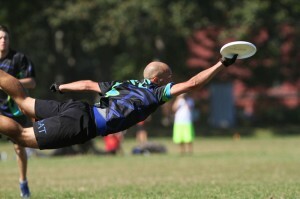 Ironside’s defensive line was also impressive in their universe point second place Sunday victory against PoNY, 14-13. The Boston defenders again stayed tight throughout the game with the cutters, but this time with slightly better results. PoNY’s offense utilizes multiple cutters making moves at the same time, while GOAT’s stays a bit more disciplined and works with one at a time. By the end of the games, the difference was clear: PoNY’s Jack Marsh and Markian “Muk” Kuzmowycz had to work incredibly hard to generate separation against Ironside’s D. And sometimes those windows were just a foot too small. Despite overall strong performances from Marsh, Kuzmowycz, and Robbie Gilles, PoNY was once again unable to take down Ironside, falling on double game point. Against GOAT in the finals, however, the defense, while quite good, was unable to convert their chances thanks to excellent defense from the GOAT O line. Ironside’s attention will also turn to the offense. The deep ball is the sword they live and die by: George Stubbs to Danny Clark is so (rightfully) feared by teams that it may have baited PoNY into spending an entire second half in a zone look. But GOAT now has two wins in a row against them and Ironside’s offense was the more obvious culprit in both. GOATs defensive unit generated most of its turns on Ironside deep looks — a miscommunication here, a contested huck there, and at least one huck woefully out of bounds. Toronto only managed one break in the first half against Boston. They might have had more, but they wasted two red zone opportunities early, compelling coach Scott “Shooter” Hastie to gather the D Line and have them take a few deep breaths. In the second half, though, they were excellent. Playing a far different style of defense than Ironside, they generally allowed free resets while putting pressure on downfield cutters with some man-marking and some skillful lane poaching. Defensive star Anatoly Vasilyev, who Lloyd pointed out as one of the team’s most important veteran leaders, got an outstanding poach layout catch block late in the game to add to GOAT’s cushion. The GOAT offense, continuing to find ways to reset the disc despite outstanding dump defending from Ironside, closed out the game with a near flawless performance. Check out more of UltiPhotos’ Regionals photography. 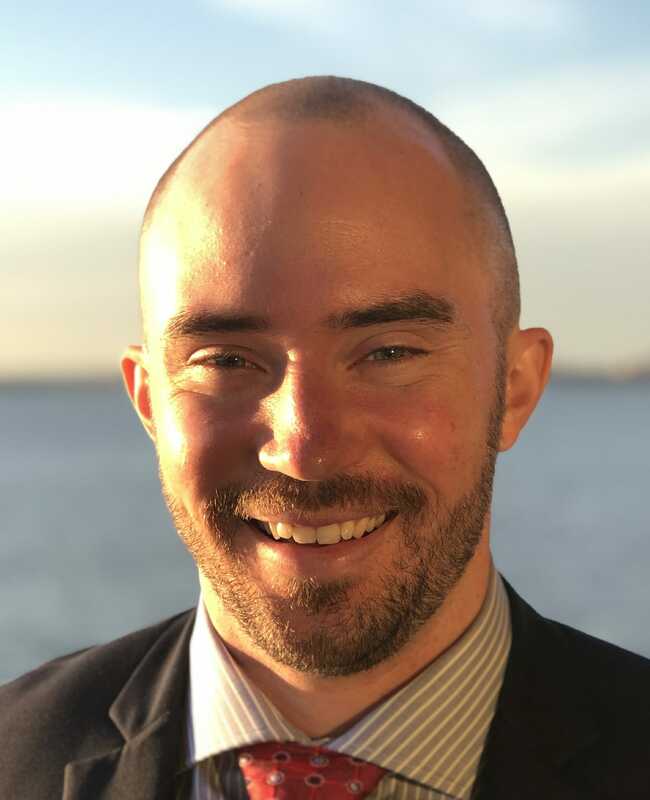 Sean Childers is Ultiworld's Editor Emeritus. He started playing ultimate in 2008 for UNC-Chapel Hill Darkside, where he studied Political Science and Computer Science before graduating from NYU School of Law. He has played for LOS, District 5, Empire, PoNY, Truck Stop, Polar Bears, and Mischief (current team). You can email him at stats@ultiworld.com. Comments on "GOAT Wins First-Ever Northeast Regional Title With Brilliant Performance Against Ironside"